CENSEO’s team of engineers joined the Ka Haka ‘Ula O Ke’ elikolani (KHUOK) project at The University of Hawaii Hilo after construction for the project had commenced. Solutions specified by the previous consultant were not meeting the needs of the University. The CENSEO team reviewed the plans for the addition, discussed project requirements, and worked directly with the client to understand design goals. With the information collected, CENSEO specified a new, digital solution rather than analog, which would have severely limited the ability of future technology to be incorporated into the facility and would have required the rewiring and component replacement of the AV system well before necessary. The system was appropriate for the university setting and the best value for the needs and desires of UH staff and students. 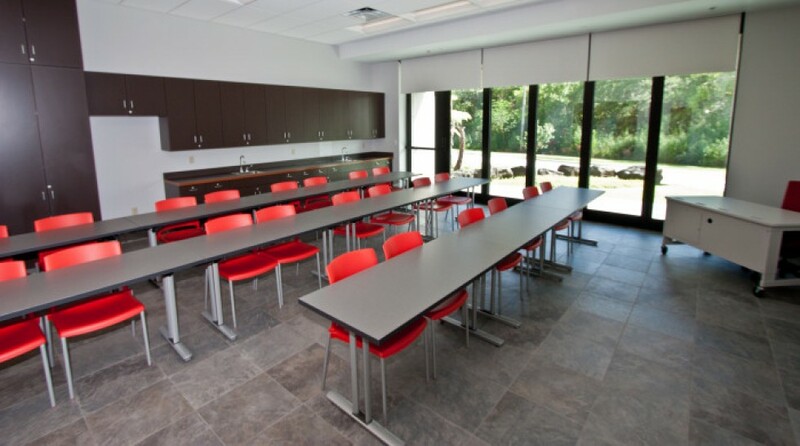 For this educational facility project, we were limited to working with the existing plans. A quality deliverable requires proper industry knowledge, research, creativity, and time. Under the constraints of this project, we knew time would be a challenge. Our team committed maximum effort and achieved to audio/visual design goals, which were completed successfully and on schedule. Infrastructure typically outlives equipment, and outdated equipment is generally replaced three times before rewiring. The original plan (before CENSEO was working on the project) would have been costly for the university long-term. The better choice, making a small initial investment and updating the school’s AV infrastructure, led to a higher level of efficiency and increased longevity. CENSEO specified a new solution that was digital instead of analog. An analog system would have severely limited the ability of future technology to be incorporated into the facility and would have required rewiring and component replacement of the AV system well before necessary. It was a challenge to find the right balance between the features of the system and maximum functionality for the budget. Designing in too much functionality could have had a negative effect on the usability of the system, which is a primary concern for an educational facility. Budget, of course, plays a key factor in all designs. This project held great meaning for the local community. The AV system designed by CENSEO would allow for curriculum development with technologies in distance learning and telecommunications. With the ability to reach similar cultures in The Pacific, the College was able to collaborate with all of Hawaii, other islands, and populations in remote locations. 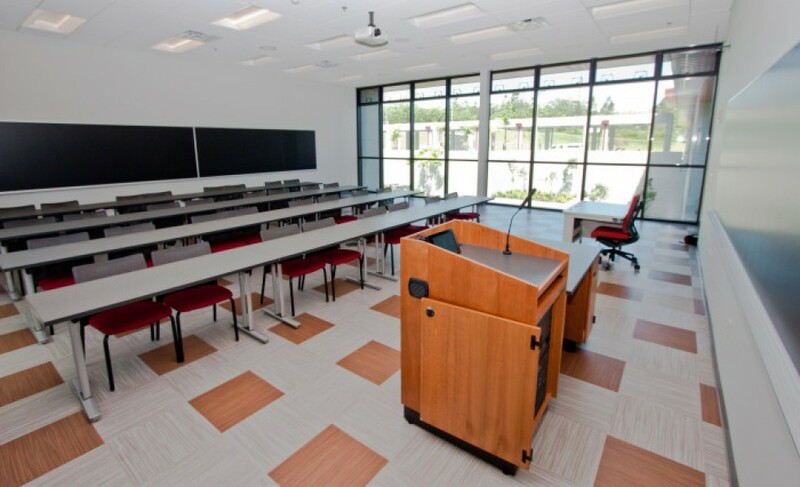 In an effort to reduce the upfront cost of the AV system, CENSEO integrated existing AV supplies and space owned by the University into the video teleconference systems of the distance learning classrooms and conference rooms. Ease of use was a system consideration, as the end-user was intended to be a student or teacher. A user-friendly system combined with well-planned technology resulted in an overall cost savings for the University. 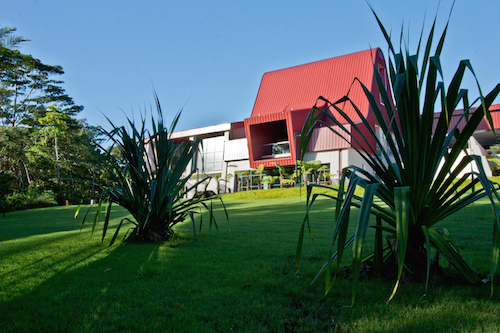 The concept for the award winning, $28 million, 37,000 square feet state-of-the-art facility was to combine all operations into one building, creating a permanent home for the College of Hawaiian Language at UH Hilo. The facility plans included a large multi-purpose performing arts auditorium, distance learning classrooms, video teleconference rooms, general classrooms, and other support and administrative spaces. 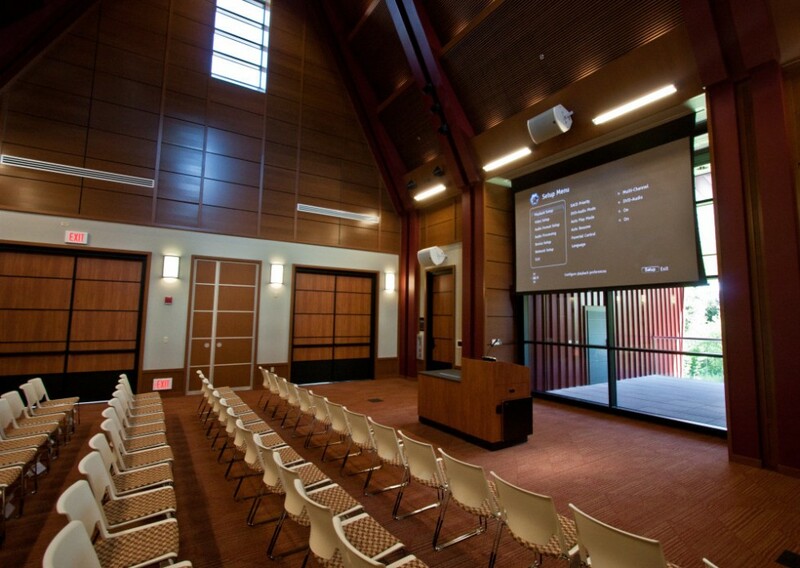 In addition to the standard conferencing and classroom needs in the facility, this project presented some unique challenges such as using divisible and combinable meeting spaces, including the performing arts space. Preserving high quality audio and video proved to be a significant challenge for the performing arts space. The functional use of the space demanded flexibility for musical performances and classroom use, as well as size adjustment capabilities using room dividing partitions and operable walls.